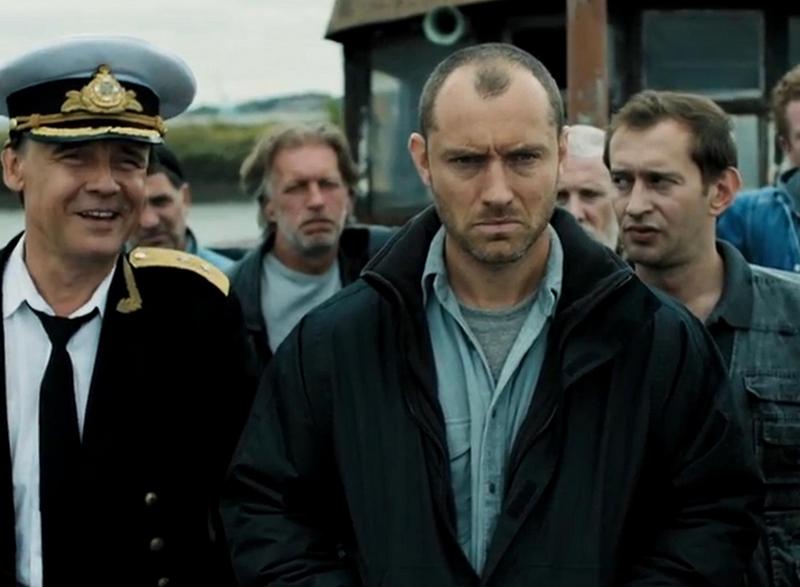 Just finished the movie, Black Sea, featuring Jude Law. It’s about a submarine captain who embarks on a mission for lost treasure, but the mission is jeopardized by rifts within the crew and the riches beyond their wildest dreams. From the beginning, it’s obvious that Jude Law’s character, Captain Robinson, is an embittered man. He’s mad at everyone and no one in particular. This anger fuels him. It’s what gets him on this mission in the first place. But it also corrupts him, leading to disastrous decisions. Who is Captain Robinson mad at? Who is he speaking against? Who has this whole mission been about? Somehow in Captain Robinson’s mind, all these separate people had coalesced into one amorphous “they” – everyone who was against him. And his whole life was now fixed on an antagonistic posture ready to fight wherever and whoever they may be. Who are the people you’re still trying to please? Who are the people who’s approval can brighten or ruin your day? Who are the people you’re trying to prove wrong? Who are the people you’re trying to outperform? Who are the people you need to like you? Who are the people you want to see fail? Who are the people you monitor on social media to see if you’re doing better than them? Most of us carry these baggages of insecurity, anger, frustration, and hopelessness. And with every new failure, every new rejection, we relive the past all over again. This is why our reactions are huge. The current issue may be small, but people don’t see how much it’s connected to. It’s time to let them go. There will always be new instances of they in your life. New people to please or new people to compete against. And because they’re so vague and undefinable, they always elude us. True satisfaction is always out of reach. Instead, there is only ONE. One person that matters. One opinion that truly makes or breaks us. One voice that speaks to every person. Jesus knew better than to let human opinions affect His mood or mission. He knew what was in their hearts. And Jesus came to earth for the sole purpose of making a way for people to have that same connection with God. When He died on the cross, He swapped our sins and baggage for His perfection. Do you realize that if you believe in what Jesus did for you, then you have this same relationship with the Father also? Do you know that same voice that said that to Jesus every day is saying that to every believer now? Thank you for this liberating revelation, Pastor Joseph. There is only ONE found worthy of our attention, strength, love & life – Jesus. May God be even more lifted up in your life. God bless you and your beautiful family!